Ed was a member of The National Youth Theatre throughout the 90s, and went on to study Drama at Goldsmiths. He began performing stand-up in January 2002. A year later he gave up his job as a researcher on the BBC panel game THEY THINK IT'S ALL OVER (Talkback Productions) to become a full-time comic/comic actor. 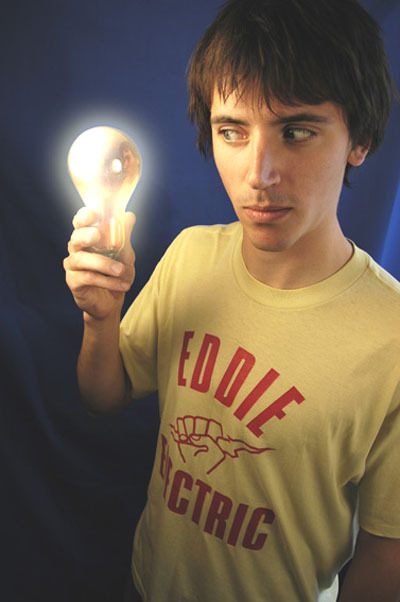 Ed's favourite gigs include compering at the Glastonbury festival and performing on the Avalon Comedy Network. Ed's least favourite gig was performing at an army base in front of 130 drunk Royal Marines who'd just got back from Iraq. Ed will be presenting Nickelodeon's new breakfast show "The Crunch" from January 2005. 2004 Glastonbury Festival, compere of the "Dance and Fire Satge"
2003 "3 Men and a Giant", CO2 Venue (stand-up show with Greg Davies, Rhod Gilbert and Steve Hall).